Merlin Olsen passed away on March 11, 2010, he was 69 years old. Many remember Merlin for both of his major career accomplishments, being a member of the Pro Football Hall of Fame and acting on the dramatic series Little House on the Prairie. He had also starred in his own television show, Father Murphy. 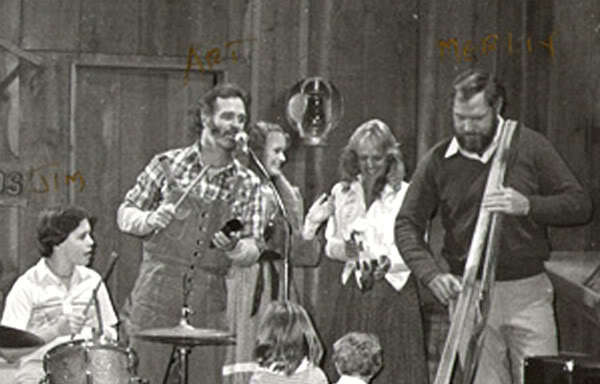 Merlin Olsen was father to three children and was the proud grandfather of four children. He was battling Mesothelioma lung cancer, a condition he was diagnosed with in 2009. A native of Utah, he had lived in Park City until his hospital stay in Duarte, California. 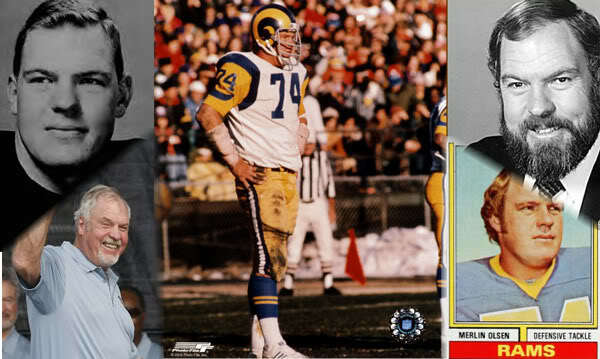 In 1962, Merlin Olsen signed with the Rams and joined the NFL. 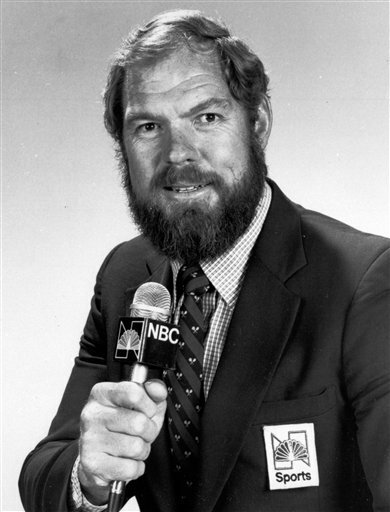 A professional football player, Merlin Olsen played for fourteen years. He played his last professional game in 1976 in Bloomington, Minnesota. Olsen entered television by providing commentary which opened the door to television. In 1977, he landed the role of Jonathan Carvey on Little House on the Prairie. It was Little House’s director Michael Landon that cast Olsen in the role as Father Murphy. Merlin Olsen died at the City of Hope Hospital surrounded by his family. We all thnak you Ron! 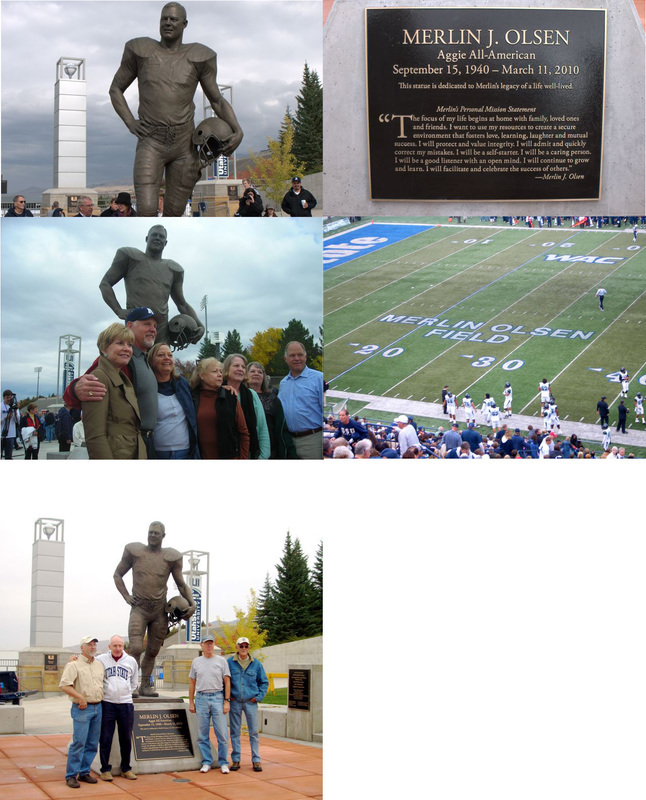 *The statue of Merlin was erected at Utah State University's Football Stadium where they named the field Merlin Olsen Field last December. *The unveiling of the statue was on October 23, 2010. *Photo of the plaque on the front base of the statue. There were other plaques showing Merlin's accomplishments, the donors supporting the statue and other funds in Merlin and Susan's names at the University. *Blair Buswell (on the left) is the sculptor. He does all the busts for the NFL Hall of Fame. Next is Paul Murray, who originated the idea to have the statue. 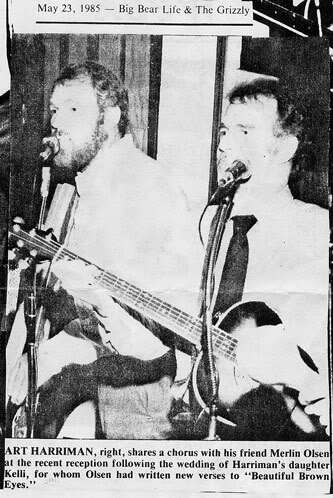 Then me and Mel Fonnesbeck. 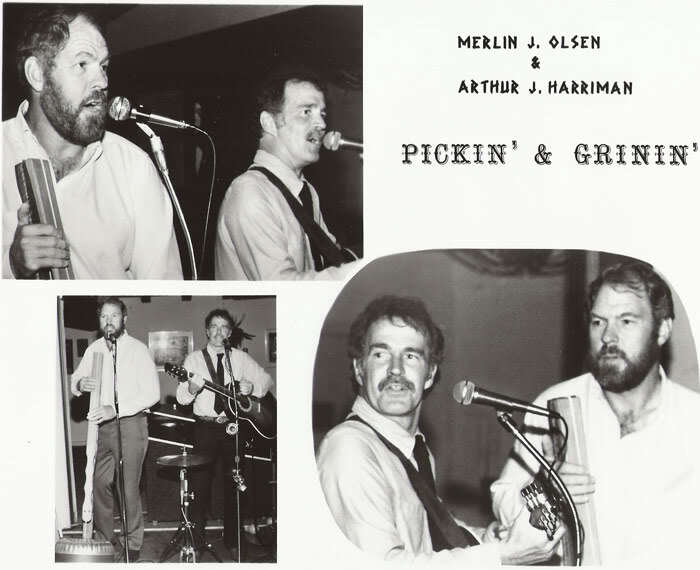 Paul, Mel and I have been life-long friends of Merlin, all growing up in Logan, Utah. *Photo of Susan, with six of Merlin's siblings that were at the unveiling. *Photo of Merlin Olsen Field at USU Homecoming Game on 10/23/10.